We tested our many barcode scanners and determined that the following scanners are best in class! Top Barcode Scanner of 2018! Retail scanners are a great combination of features and affordability, making them ideal for everything from department store retail scanning to personal inventory management. Most retail scanners are available in at least two models, cabled or cordless. 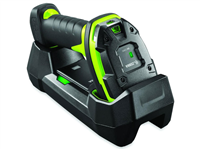 Call us if you don't see the cordless model and we will locate it for you 800.903.6571. The Zebra DS2208 is the perfect blend of price and performance, it essentially is a cross between the very affordable LI2208 and performance based DS4308 barcode scanners. This 2D scanner is designed for all types of retail environments and scans very aggressively at all angles, in all light conditions, and on most forms of media including cell phone screens. This scanner was built with future proofing in mind where it can scan both standard UPC Barcodes as well as 2D QR Codes for mobile couponing or customer registration. This is one of the longest and best selling scanners on the market, and for good reason. The Zebra LS2208 provides the kind of fast laser scanning that makes it a mainstay for almost any retailer. Adding in an auto-sense stand turns the LS2208 into a great dual-purpose handheld and hands-free scanning solution. The LI2208 offers the high power scanning you expect from Zebra. 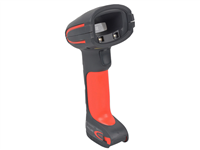 This durable linear imager has a tremendous depth of field, making it easy to read 1D barcodes in virtually any environment. A reinforced single-board design gives the LI2208 additional durability and resistance to day-to-day use and abuse. 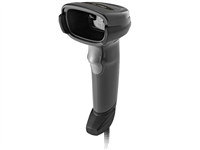 The Honeywell Voyager 1400g barcode scanner is ideal for medium volume retailers or businesses wanting to future-proof their investment as it is up-gradable from 1D to 2D when the time is right. 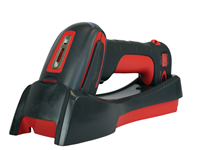 The Voyager 1450g, with its easy to hold pistol form factor, is Honeywell's 1D upgradable scanner that is easy to hold and offers a scan engine that is powerful enough to scan most barcodes, even ones on screens. 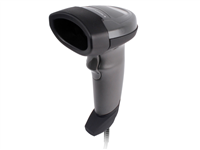 Ideal for high volume scanning, a presentation scanner can read a barcode regardless of its orientation. Modern imagers use powerful processors to capture and decode barcode data while, the classic laser presentation scanners use multiple mirrors and prisms to split the scanning beams, improving accuracy. The Symbol DS9208 puts great scanning in a small package. The rounded scanning window minimizes glare, making it easy for the scanner to read barcodes on LCD displays, allowing for mobile ticketing and couponing. A fast 2D scanner, it can handle high volume retail scanning, such as in department stores or pharmacies. Industrial scanners are built to handle tremendous abuse, wide temperature swings, and harsh conditions that would take down lesser scanners. They are sealed against the elements, with some able to survive submersion in water. Generally seen in manufacturing and heavy industrial environments, an industrial scanner is built to perform. Bluetooth and 2D, the DS3678 is the ultimate rugged scanner with the freedom of cordless user movement and variety of scan engines to meet all industrial scanning needs. 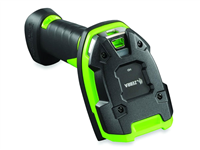 Zebra's ultra-rugged DS3608 corded 2D imager is ideal for extreme environment data capture. From sub freezing temps to overly dirty sites, the DS3608's powerful scan engine will get the job done quickly. The Honeywell Granit 1910i combines Adaptus imaging with a durable design, speeding the data capture process in harsh conditions. Built to operate in temperatures as cold as -22° F, the Granit 1910i is a smart choice for cold storage and outdoor scanning. The IP sealing keeps dirt and low pressure water jets from harming internal components, further extending the scanner's life span. If you have questions about the performance of our products or whether a particular scanner is right for you, call us at 800.903.6571.